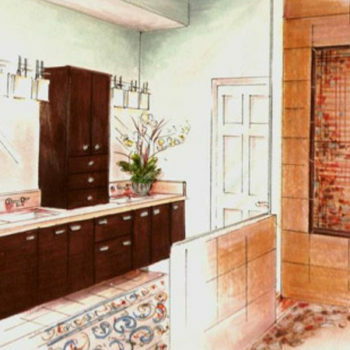 These sketches and design statements, entered into competition for the American Society of Interior Designers (ASID), are an example of how Schaefer Design Group transfers your ideas and vision into reality, from the initial sketches to the home of your dreams. The bedroom was inspired by a hand-carved Turkish sideboard the clients found on a romantic holiday trip. 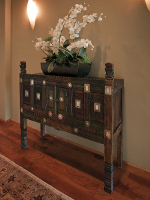 To accommodate this found treasure and give it prominence, a hallway was designed to give it an area all its own. 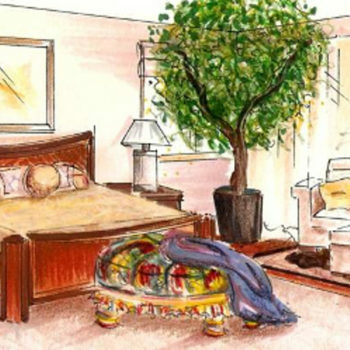 The bedroom exemplified the client’s desire for serenity and romance. A mesquite floor was chosen and family Oriental rugs were used for warmth. 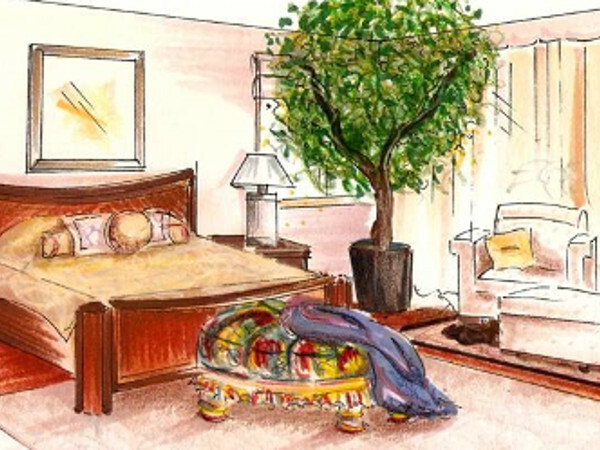 Elegant silks were used for bedding and pillows. A textured blend was used on the chairs in the seating area. 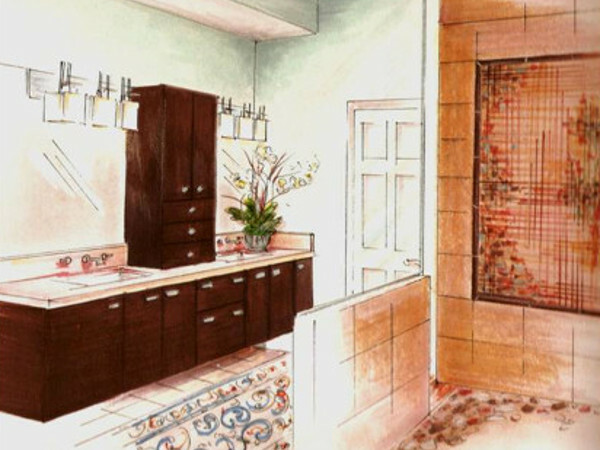 Color was demonstrated through the use of selected artwork and accent pieces. 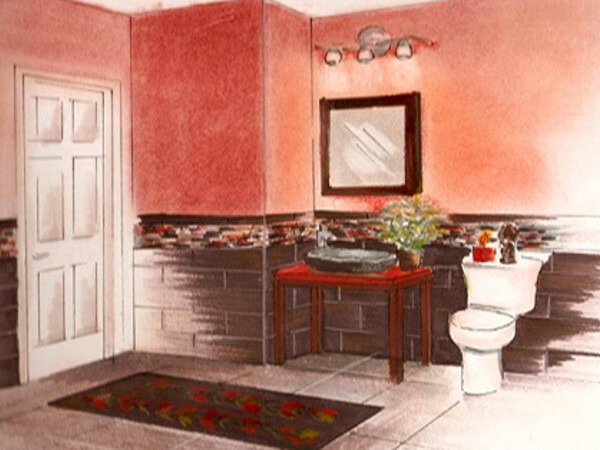 A 1980s bathroom, consisting of whitewashed birch cabinets and cultured marble countertops, shower, and tub were transformed into a spacious and romantic bathroom. The clients’ wish was to use a variety of natural elements. 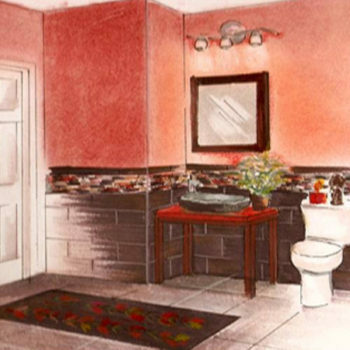 We began by gutting the bathroom and creating a clear palette. 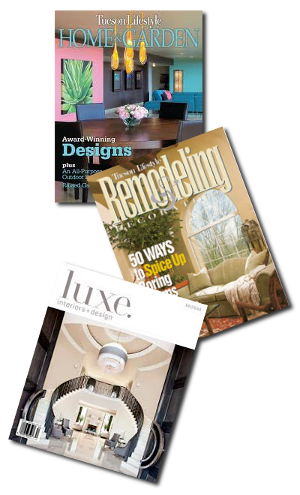 Our design was in place and it was time to choose the various products that were needed to make our design plan come true. 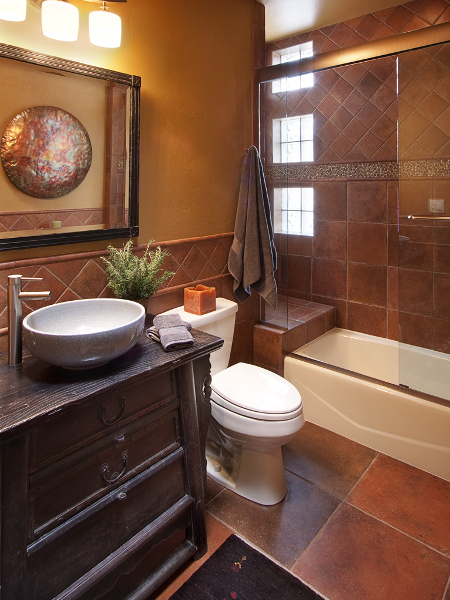 A travertine was chosen for the floor and carried into the walk-in shower. 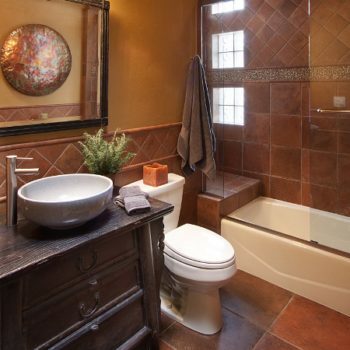 We used a mosaic tile consisting of granite, travertine, and glass. By outlining it wiht linear glass bars, we defined the mosaic pattern and completed the shower by using river rock flooring. 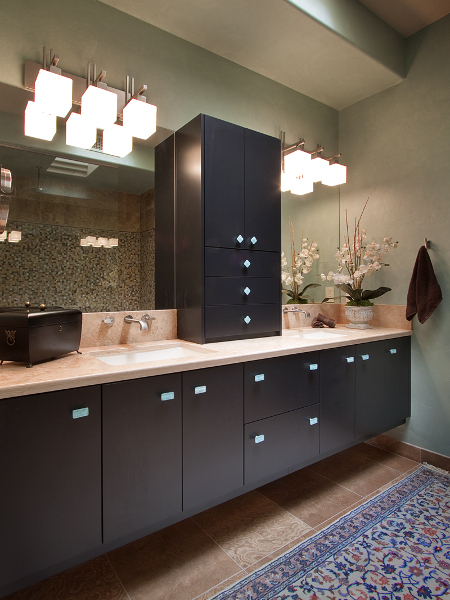 The floating cabinets were designed for storage and the soft colors of the mosaic were pulled for wall colors and cabinet hardware. 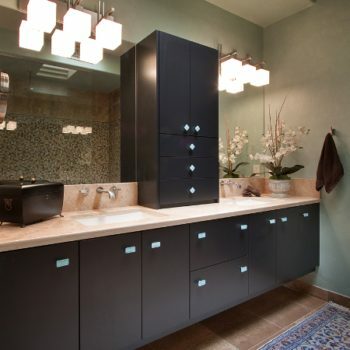 The various textures enabled us to create a soothing and welcoming transformation.